20" scrubbing path, 98 lbs. This 1.5 HP floor buffing swing machine by EDIC, is a top of the line commercial buffer that can be used for stripping, scrubbing, buffing and carpet bonneting. The EDIC Saturn™ comes standard with a 1.5 horsepower motor and a triple planetary transmission that power this floor buffer through the toughest jobs. 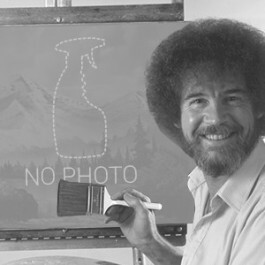 Never before has carpet bonneting and scrubbing been so easy. With the dual capacitors utilized during start up, this swing machine can start up under extreme stress, like that found while in carpet scrubbing industry. Not only can this floor buffing swing machine scrub carpet, but it can also scrub, buff, and strip any type of commercial floor. For complete instructions on how to do each of these tasks, please feel free to take a look at our carpet bonnet scrubbing procedures, floor stripping procedures, and our spray buffing procedures for more info. The EDIC Saturn has an all metal construction that compliments its appearance, and makes it stand out from the competition. This helps it stand up to the everyday rigors of being a commercial scrubbing machine. With it's swinging motion, it covers large areas and powers through normal jobs in no time! Features like the quick and easy handle adjustment, anti-fatigue handle grips, and the exclusive "lockout lever" for safe two-handed start up make this machine operator friendly, and a winner in every commercial setting. About the only addition this machine really needs to make it a true cleaning behemoth, is a floor buffer shampoo tank. For other size options, including a 17" EDIC swing machine, please take a look at our complete line of rotary buffers. All-metal construction assures durability on this floor buffing swing machine. All-steel triple planetary transmission provides heavy duty yet quiet operation. Wide grip handle locking mechanism ensures a tight lock and smooth adjustment. Lifetime warranty on the stainless steel apron, and 5 years on parts / labor. Customers who were interested in the EDIC Saturn™ 20” Floor Buffing Swing Machine were also interested in the following items. 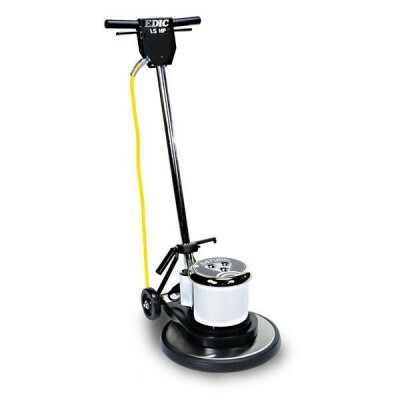 This is a review for the EDIC Saturn™ 20” Floor Buffing Swing Machine.